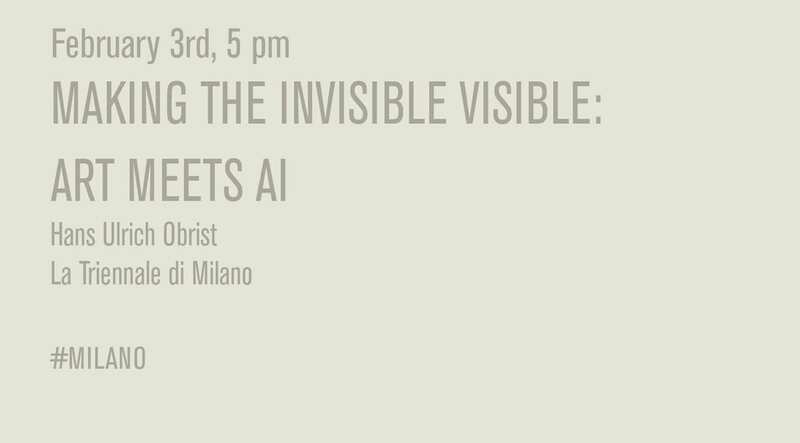 Sunday, February the 3rd, 17.00 p.m., Stefano Boeri takes part at the first of a series of conversations dedicated to the world of art in contemporary times at La Triennale in Milan: the critic and curator Hans Ulrich Obrist is going to analyze the relationship between art and artifical intelligence in a lecture. Obrist is going to take into consideration the future of technology, investigating a variety of art projects to show the possibilities that artificial intelligence can give in order to create new form of art. The lecture is going to face the danger of loosing some fundamental elements, as the extinction of certain cultural phenomena and, quoting Édouard Glissant, the importance to resist to standardizing trends dictated by globalization in the digital era.